So far lkdesigns has created 2 blog entries. 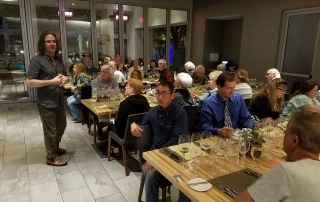 Guests enjoyed a 5-course gourmet meal, each course paired with a different wine from this relatively new boutique winery (about 3,000 cases) superstar from Santa Maria. 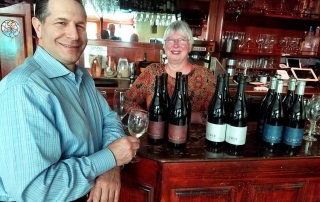 Special Guests were Lumen Winemaker Lane Tanner and Lumen owner/founder Will Henry. Winemaker extraordinaire Wes Hagen held court at Barbianca, entertaining and informing guests with some Santa Barbara County wine history (he lectures on this topic at universities around the US), some unique insight into the art of winemaking and of course, waxed poetic about the five J. Wilkes wines that were featured at the gourmet dinner.